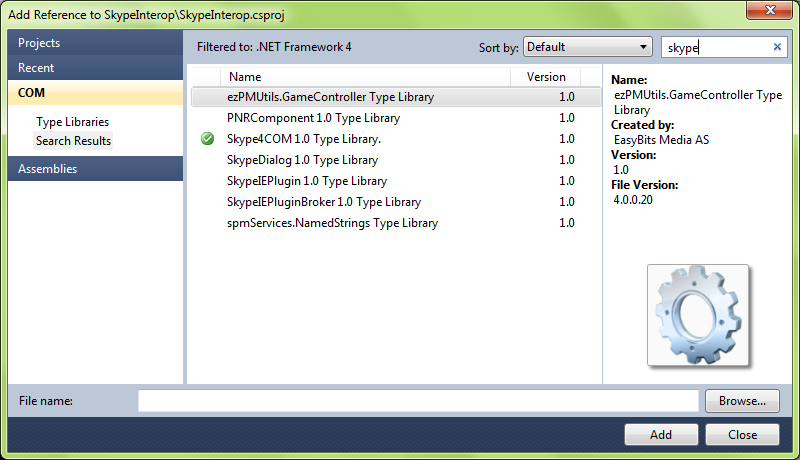 If you want to integrate your application with Skype you can do it by using Skype4COM. This is a COM library that is installed with Skype on your local machine. You can download the library from this link or you can search this page for more examples http://developer.skype.com/accessories. I will show you a short example of how you could change your status from C#. Right click on the project and select Add Reference. In the COM section search for ‘skype’, select Skype4COM and click Add.